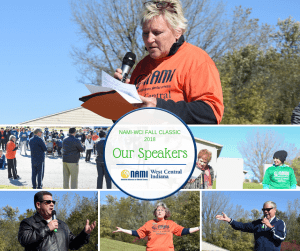 NAMI-WCI – Find Help. Find Hope. Find NAMI. 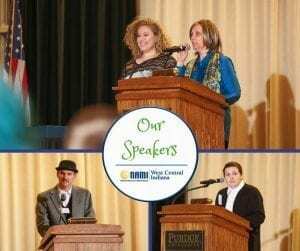 NAMI West Central Indiana advocates for support, effective treatment and education for individuals and families affected by mental illness in our community. 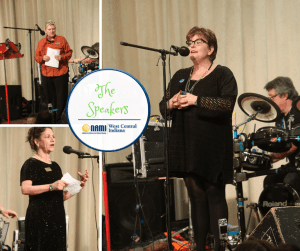 Help us fight the stigma surrounding mental illness. We have already traveled many of the paths in front of you – we’re ready to serve as your guide. Finding hope in knowing you’re not alone. 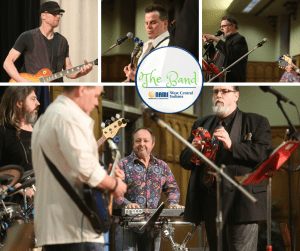 To view the full album of the night at the Beautiful Minds Gala you can click this link to visit our Facebook page. Every year, nearly one in five Americans is diagnosed with a mental illness. Chances are, you know of someone who has been affected whether it’s a family member, neighbor, or co-worker. 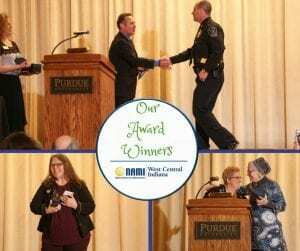 For the past two years, there has been a mental health crisis in Tippecanoe County. Simply, there are not enough psychiatrists or licensed clinicians to accommodate the need for services. 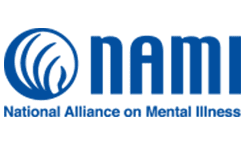 NAMI-WCI does not provide therapeutic services but we offer support, education, and training. 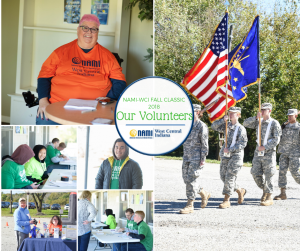 NAMI-WCI relies on memberships, donations, grants and fundraisers to provide the needed support. 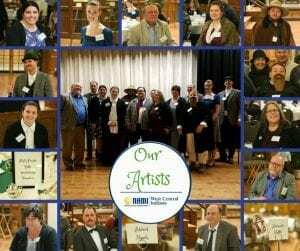 Last year’s fundraising Gala was such a success, we are planning for the 2019 Beautiful Minds Gala. 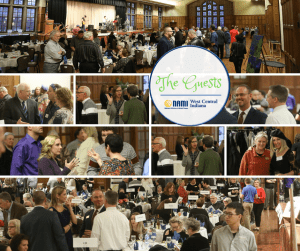 The Gala will be held February 27, 2019 in the North Ballroom at the Purdue Memorial Union. 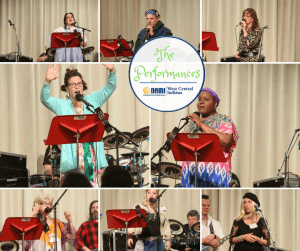 Musicians who have a mental health condition will be celebrated. 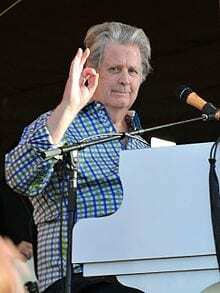 The event will have actors portraying Brian Wilson, Adele, and Mama Cass Elliot just to name a few. There will be live music and we are planning on the biggest crowd yet. Attire is festive, business casual, or dressed as your favorite musician! Parking is available in the Grant Street Garage. Follow signs to the Purdue Memorial Union North Ballroom. You will get a validated parking pass when you check-in at the Gala. 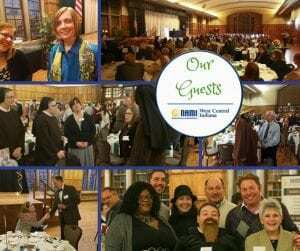 Opportunities to support NAMI West Central Indiana will be available throughout the night, while not obligated, we will have the opportunity for you to donate so consider bringing your checkbook or charge card. 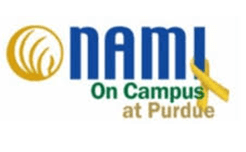 Email: office@nami-wci.org Phone: (765) 423-6939. In the spring of 2016, Tippecanoe County was facing an acute mental health provider crisis. Patients were seeing months-long waiting periods, and some providers had closed their waiting lists altogether. 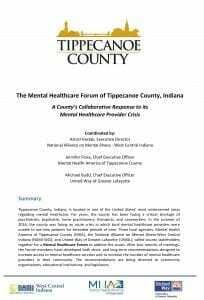 In response to this crisis, the Tippecanoe County Mental Healthcare Forum was formed with leaders of area agencies to address possible solutions. After 2 years, they have published the results of their collaborative efforts. The NAMI West-Central Indiana Fall Classic 5K was held October 21, 2018 at the former Lafayette Municipal Golf Course. Thank you to all of the volunteers, coordinators, participants, and sponsors for such an amazing event. OCTOBER 21, 2018 NAMI-WCI FALL CLASSIC 5K WALK/RUN RESULTS ARE IN! 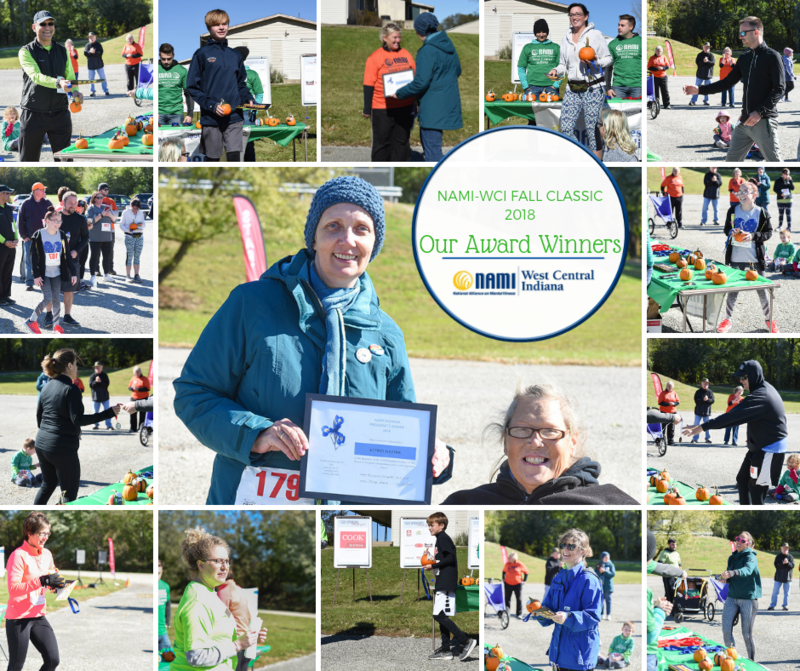 Thank you to all of the participants and volunteers for making the 2018 NAMI-WCI Fall Classic such a successful event! Congratulations to all of this year's top finishers! 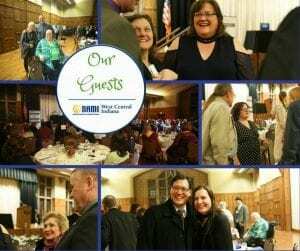 On February 22nd, NAMI West Central Indiana held its first "Beautiful Minds Gala". 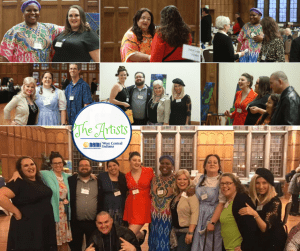 We celebrated the amazing achievements of visual artists living with mental illness. 16 costumed actors portraying these artists were mingling with guests and sharing their stories of challenges and triumphs. It was a great event - in the words of NAMI-WCI vice president Carol Santos: "Those who are not here, will come to regret it!" Discover what NAMI-WCI is doing in your community! Check out our upcoming events. 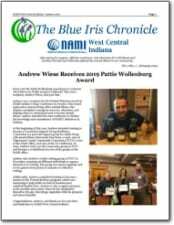 View our monthly newsletter: The Blue Iris Chronicle! 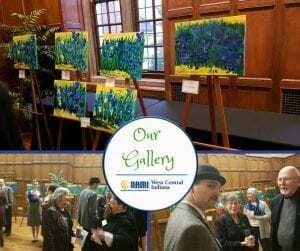 NAMI-WCI fights for the those living with mental illness. We want to see our community heal, grow, and prosper, and we do this through advocacy and sharing our story. Want to know how you can get involved with NAM-WCI? Check out our Get Involved page. Please click here for information on your medications. A reminder that NAMI-WCI will be closed tomorrow, April 26th so that we can move! Normal operations will begin Monday April 29 at 913 Colombia St downtown. Mother's Day is on May 12 this year! 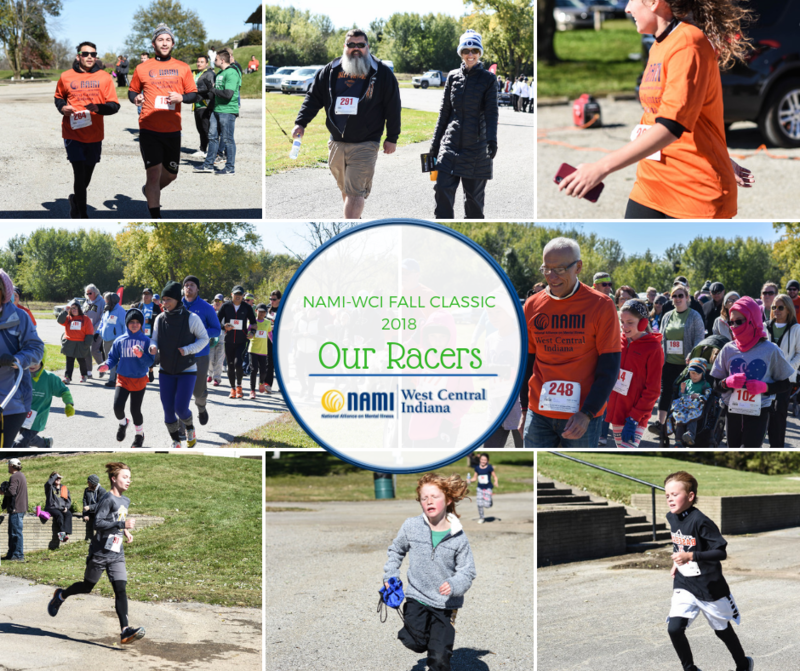 It is a great time to support NAMI-WCI if you're thinking about doing your shopping on Amazon. You just doing your usual holiday shopping, and NAMI-WCI benefits! 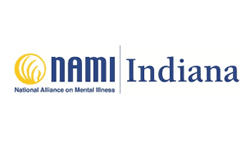 If you go to smile.amazon.com and select NAMI West Central Indiana as your charity of choice, NAMI-WCI will receive a small percentage of your purchase. 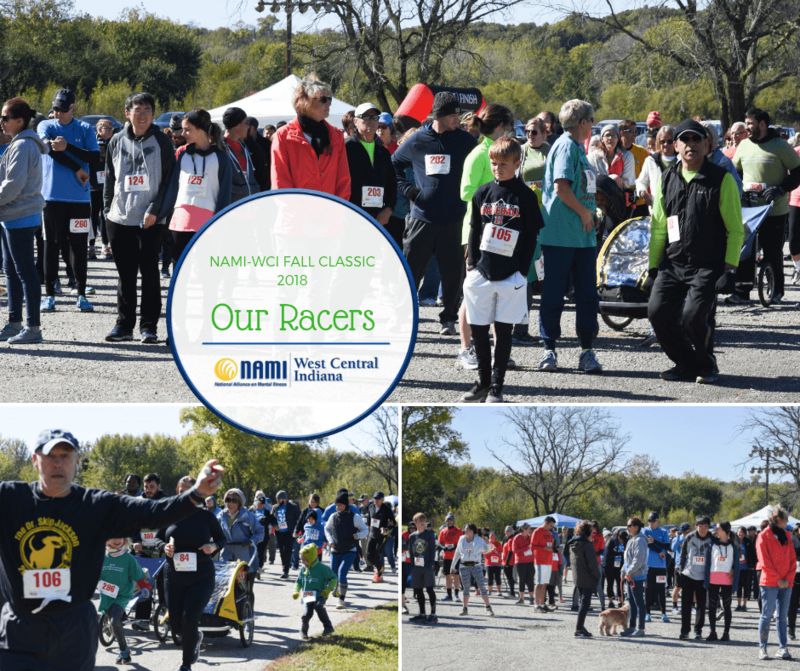 We appreciate everyone's continued support of NAMI-WCI programs. Continuing to make news, but what are we as a society doing about this? Many homeless, not all are there because of lack of resources and mental health care / treatment. Great talking points with your elected officials.